Subject: Your email have won the sum of GBP 450 000. view attached file. 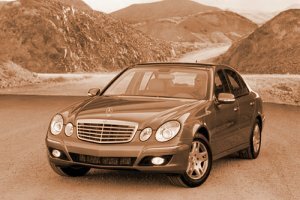 Your Gmail account has won you ₤450,000.00GBP and 2011 brand new E-320 AMG-Mercedes Benz from the BBC LOTTERY. Email addresses were pulled together from a wide range of Worldwide Email Users and Internet Subscribers information. The National Lottery Tuesday Night Thunder ball draws; 11.20pm on BBC One presented by OJ Borg (Tuesday), with Lotto and Thunder ball draws, 11.20pm on BBC One. See our website to confirm your winning numbers http://www.bbc.co.uk/lottery/ the draw no. 63 brought out your e-mail address from a Data Base of Internet Email Users and qualified you a lucky winner of the stated winning amount. You are to contact Mr.Nelsen Robert your Claim Agent in South Africa via e-mail (nelsenrobertss@gmail.com) or Tel: +27787580403 providing the below stated information for the processing of your claims.